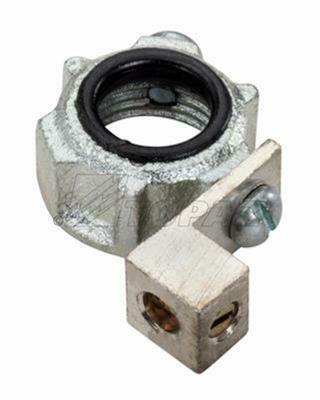 325M Malleable Iron Grounding Bushing 1-1/2"
Insulated metallic grounding bushings are for use with accompanying aluminum lug to terminate conduit service; recommended for applications with copper or aluminum bare ground connectors. Protective thermoplastic throat liners are rated to 105 ° C and help prevent wire insulation damage. 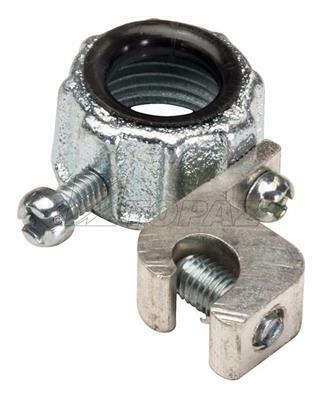 Built to last high grade malleable iron construction, available in 1/2” to 6” sizes always in stock and ready for fast delivery. All models UL listed.